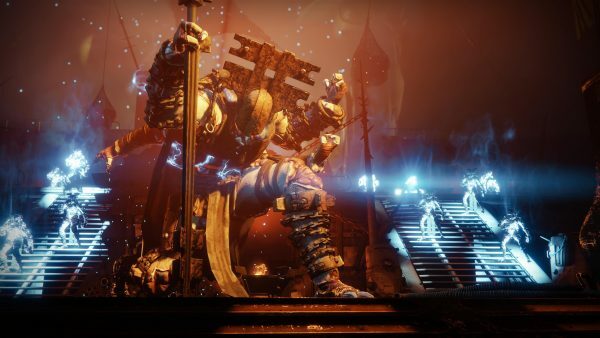 Destiny 2 Forsaken is going to do more than add a new Subclass for each of the main Classes, it’s going to massively overhaul very single Subclass in the game. The developers wanted to give something back to the community in light of all of the feedback they’ve been receiving when it comes to the Quality of Life of Subclass abilities and how they affect a player’s role in the game both in PVE and PVP. Now the nine new Subclasses have been detailed and they really are going to mix things up, let’s take a look at them. This Subclass has a Smoke Grenade which will slow enemies down and deal plenty of damage to them in the process. If you manage to get a kill with a precision shot then the Nighstalker will become invisible and gain True Sight, which allows you to see enemies through walls for a limited time. My take here is that this completely changes the way the Nightstalker works for the better. Currently if you’re running with this Subclass you’re doing a lot of holding back and pinning enemies from afar, leaving others to finish off the enemies you’ve hit or expecting you to run in and get them before the effect wears off. Now the Nightstalker is a viable close-range combatant in both PVE and PVP. The Arcstrider’s melee has been revamped so that if you now slide and press melee your Arcstrider will pull out their Arc-staff and do a badass uppercut. This ability will also increase Reload Speed for a time. Any Arc abilities will now electrify enemies, which let’s you disorient them if you then strike them with a melee attack while they’re electrified. That special perk also recharges your Hunter’s abilities. The new Arcstrider Super is Whirling Guard. This changes the Arc-staff’s use from brutal offensive weapon to a defensive beast. Arcstriders can spin the staff to form a shield in front of them that not only protects them and anyone behind it, but also reflects enemy projectiles. Any projectiles that are reflected boost the staff so that when you hit that enemy you deal triple damage. I think this is a good way to add a bit of defence to what was an easily avoidable Super. Right now you can kill an Arcstrider before they get too close, or even right as they pop that Super. However, now it’s going to be harder to deal with this Subclass because they can just reflect your damage and destroy you a few seconds later. The melee move in this revamped Subclass now throws out a fan of Solar knives, not just one. If you manage to kill any enemies while they’re burning from your melee attack then you’ll recharge your ability. If you manage to burn enemies then it’ll recharge your dodge as well which is nice. The new Super, Blade Barrage, throws out more Solar knives but has them explode on the enemy. Not only that, if you throw them in a group of enemies then the knives will be dished out between them, but throw those knives near a single enemy and they’re getting the whole cutlery draw in their body. Since I main a Hunter I am excited about all of these new Subclasses, but this is the one I’m going to be using the most. Bungie have advertised it as the easiest for any new players to get into, but there’s also a lot of depth here that needs to be considered. The burning from melee attacks for example needs to be used in conjunction with dodges in PVP in order to avoid damage but also still do enough that you’re getting kills. With this new Subclass route you can use the melee ability while in the air to slam down into the ground and cause Arc damage, much like a Fist of Havoc. Any ammo picked up whilst sliding will be automatically loaded into the Titan’s weapons, and it’ll increase the damage you do for a short time. The new Super, Thundercrash, turns you into an electrified Superman. Titans will be able to soar through the air, controlling their direction, before they blast into the ground like some sort of act of God. This will obliterate anything. This is the new Titan I’m most excited for because it brings back that feeling of Destiny 1. I guarantee this is going to wreck you in the Crucible at least once though, so watch out. The Sentinel melee ability will cause an explosion. Those explosions will come from a Void Detonator which is lodged with a melee attack. This will cause the enemy to explode when damaged, and throw Void Detonators on all surrounding enemies. Bungie say this is going to help direct where a Fireteam needs to cause damage and move forward. When these detonators are triggered they will recharge the Grenade ability of the Titan and nearby allies. The new Super, Banner Shield, allows the Titan to create a huge shield that a Fireteam can huddle behind. It absorbs attacks while allowing Guardians to fire through it. Pretty handy for bosses. I love the idea of this new Subclass, but you can already see it being a requirement of every Fireteam hoping to Raid or do anything remotely hard. If you main this new Subclass I can see it being both a blessing and a curse. This Subclass has been totally changed, with the melee ability now throwing a hammer that Guardians have to pick up in order to recharge. Picking up the hammer will also trigger health regeneration, not too bad if you’re at the front in PVP. Solar kills stack damage up to three times, increasing the output of your devastation. The new Super, Siege Hammer, changes the Titan Hammer from one handed to a two-handed monster. Hitting the ground will send out a tremor, causing damage, and it can be used to send out a flaming tornado of damage in any chosen direction. This is a mental Subclass that turns you into an Iron Lord whenever you want. I really love the idea of the hammer that you throw and have to pick up, and apparently in practice it really works and makes you care about your weapon. The melee attack on this Subclass will fling out Arc balls that explode. When they detonate lightning bolts stream downwards. Any Arc kills as Stormcaller have a chance to produce Ionic Tracers, which are sparks of raw Ionic energy. If you collect these as they travel towards you then you’ll have all abilities recharged. The new Super, Chaos Reach, fires a long range Arc bolt like you’re Cyclops’ brother. Stormcallers have the option to end the Super early in order to save their Super energy if they want to use it later. This new Super is pretty brilliant in my eyes because of how conservative it is with energy. At every point you’ve got the option to get more energy and save it for later, which is just what players who are waiting for just the right moment to pop their Super will adore. The melee ability, Atomic Breach, creates a Void explosion at range from the guardian. The Warlock can hold down the grenade button to transform it to an AoE supernova explosion. Any Void ability kills heal the Guardian and grant them ability energy. The new Super, Nova Warp, allows the Voidwalker to continuously teleport over short distances. This can be enhanced with the unleashing of a large burst of energy all around them. I’m not too excited about this new Subclass but I appreciate that it gives Warlocks a bit of that Hunter magic. the stealth aspect will definitely come in handy for those who aren’t best at healing or going in all hands blazing with Arc power. Melee attacks from the Dawnblade will burn enemies but empower allies. Any use of abilities that will heal or empower an ally restore abilities that aren’t your Super. The grenade can be transformed into a Blessing when Guardians hold the grenade button, creating a grenade that will heal allies. This will also drop Orbs and overshield, and can be retrieved if they miss. The new Super, Well of Radiance, changes things up and slams that sword into the ground in order to create a healing aura. This aura heals and empowers allies within it. this is my personal new Warlock favourite Subclass, because I love the healing aspects here. No one would use this Subclass to get stuck in and cause damage, but while it can be used at the back of a fight, it can also be used to establish a safe zone further into the battlefield for guardians to move up and hold with extra power. If I’m honest I love most of these new Supers, but that’s because of how they subvert the expectations of the preset Subclasses. Now there are going to be entirely new dynamics to the game that will emerge from how Guardians use these new abilities and Supers in every activity. 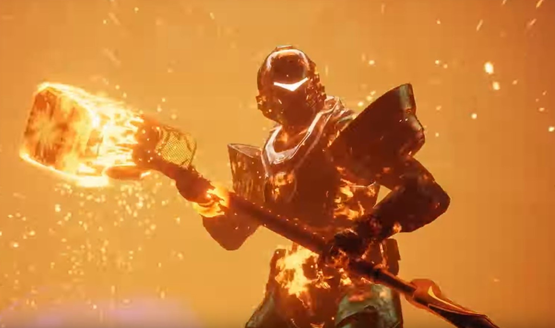 I can see myself sticking with Hunters but I actually love the look of the new Dawnblade because of the healing aspect it brings. That’s much more how I would want to play a part of a team in a raid, but there’s just nothing much for me out there with Hunters at the moment. It seems like Bungie is trying to bring balance to all of the subclasses and refine what they offer to each player. A main Class used to mean a specific type of gameplay, but now it’s all being turned on it’s head, and it’s going to be great while everyone figures out where their skills lie. This is definitely a massive step in the right direction from Bungie, providing changes based on player feedback and handing the end product directly to us. When Forsaken releases it’s going to change a lot of things, and most of them are going to be based on what players have been saying in forums on and off the Bungie site, in YouTube videos, and even streams. All of these new Subclasses are going to be worth exploring, and the beauty will be that they’ll be available to you from day 1 if you pick up now and get on with levelling up your other Guardian classes. Let us know what you think of the new Classes in the comments, what you think is going to be your firm favourite and why. Previous articleIs Crimson The Best Exotic Hand Cannon? Is It Good That Bungie Opened Niobe Labs For Us?